As much as I may (un)ironically sneer at a lot of fantasy worlds, the Discworld seems to always get a pass. 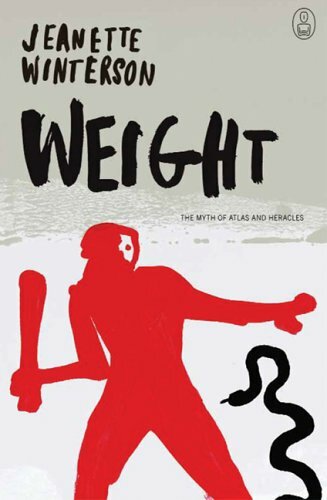 It has been close to my heart for almost half of my life now, having started to read it in Transition Year, fourteen of my twenty-nine years ago. Then, there was near twenty books for my younger self to follow, with many more to come. Now, we near forty and hope we’ll see that many. Which is, of course, a stupid and arseholey thing to do. Pratchett has Alzheimers and everyone feels the need to weep and wibble and talk about how sad that is, but you know what? The man has kept writing. Even more impressively, not only has the quality not dropped, it has bloody well improved. You can hear his voice so very clearly now, which presumably is the effect of his dictating rather than typing the work. The already great prose now has a more lyrical, flowing quality. The characters sound that little bit more distinct. The books look further to bigger problems. We should be championing him as a writer and a person for his ability, giving a well-earned triumph to someone who has not failed to enthrall us. Yes, there will not be that many more journeys to Ankh Morpork, but better that we get one or two more books like his recent output than a hundred lacklustre efforts. This is the victory lap, and let’s enjoy it with him. 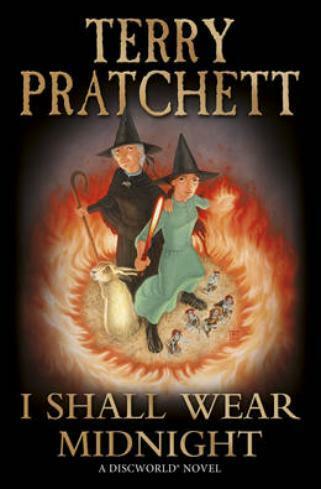 Pratchett’s books for children are, somehow, always darker than his “grown-up” books. This isn’t just that the material is left open to younger, cleaner minds: the latter books are concerned with how a city functions or what the point of law is, dealing in more abstract concepts; the former deal with smaller issues which directly affect people and are, in their own way, more understandable (or at least relatable) to children. Children see terrible things every day, and Pratchett accepts the fact and rather than gloss over it admits the fact. In a lot of ways, it’s the most reassuring thing you can do for a child: tell them that they are not alone. It even seeks to show them a greater picture with the recurring theme of Tiffany’s stories: that there is hope and goodness and joy and pride, but you will have to work for it. The revelation of Tiffany’s inclination towards being a witch is the key to this, and without spoiling that wonderful reveal I will say this: it doesn’t matter how talented you are, hard work is more important if you want to succeed. The great things about Pratchett’s recent work is that they are all about the thing and yet about more than the thing. Nation (his only non-Discworld book of recent years) was clearly a reaction to the diagnosis of his Alzheimers, yet at no point was it mentioned. Instead, he used it as the fuel to make one of the saddest and most touching of books in recent years, in which a boy faces the end of the world and the possibility that there is no God. Unseen Academicals was superficially about football, yet there is only a single actual match and it is at the end of the book; instead, the novel concerns itself with the idea of self-determination, the manifold nature of love and the social constructs and interaction of mankind. I Shall Wear Midnight is about a witch facing insane prejudice, but at its heart it looks at the selfishness of personal belief, mob mentality, problems that may never have solutions and the importance of dying with dignity. I cannot think of another author who writes about such things for children. Even if names can be offered (and I would genuinely welcome nominations! ), I cannot think of anyone who does it so well. One thing is clear: Pratchett is angry. Not in a negative way, oddly, but a constructive one. There is anger present that now has a channel. His work has always been concerned with social mechanisms and human behaviour, but now it goes further and looks harder at the cracks and flaws. There is optimism there, and that in a way is what gives the anger a sense of reality and grounding: we can all be so much more. There is no wailing or gnashing of teeth, just someone pointing to a better world if we can just stop being so short-sighted. Better yet, the issues he raises are offered with balance: while Mrs Spruce is a fairly hateful strawman, she is relatively unique in that regard as every other character of note is allowed some merit to be given to their motivations and actions (even, and I say this with some relief, the Duchess whom I can quite assuredly state that you will hate until a certain moment passes!). In contrast, while Tiffany is presented as a strong, confident young woman, she is herself able to make mistakes and present a flawed argument: in trying to help a housewife caught in an abusive relationship, she ends up terrifying her; her bossy, know-it-all actions, though well-meant, do not help her relationship with her steading in a time when anti-witch prejudice is on the rise. But the key which turns the lock and makes all of this work is that Tiffany recognises her mistakes and grows. In standing alone, she makes mistakes and errors of judgement, but she also, critically, learns to recognise them, adapt and change for the better of both her and the people in her care. What better message can we give children, young and old, that that? To those that now might be worried that social ills have usurped the importance of good humour in Mr Pratchett’s work can relax. The book is as funny as any of his better works. The Nac Mac Feegle are still the same tiny whirling dervishes of fun – albeit finally tempered with an edge of depth and even transparent, genuine rage when presented with a situation that threatens those vulnerable and dear to them – and Tiffany gets to hold wry, witty observations of the world. The humour is essential, both to offset the darkness of the book and indeed allow it to go to a scarier place than would be comfortable or even tolerable without. Being the final Tiffany Aching book (and possibly the final Witches book, although there is a door of sort left open at the end), not only do we get an end to the story that will satisfy us if never another word is written on Mistress Weatherwax et al, we even get an extension and conclusion to stories long since let go. In this I must insist that you avoid any review likely to spoil, since who or what returns is a lovely surprise that brings a great many things full circle. I Shall Wear Midnight is a joy to read, and comes with my highest recommendations. There may not be many tales left to see, so let us savour them all the more and raise a glass to Mr Pratchett for such a magnificent time. The joy of the Summer exams is that my workload eases and I suddenly have a lot more time to read. It is glorious. 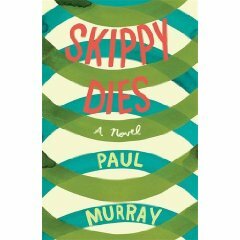 I’ve finished five books of varying scale in fewer days, the first of which is SKIPPY DIES, by Paul Murray. Skippy loves the girl in the school next door; said girl may or may not have something to do with the resident psychopath Carl; Skippy’s obese roommate and child-genius Ruprecht is obsessed with the highly abstract and possibly reality bending M-theory; their school – which is not at all a particular and real school in Blackrock – is in the middle of a separation of Church and State; and Skippy has to go and make everything that bit more complicated by dying in the opening lines of the book.